The writing CLAW repositions the writing fingers to achieve an efficient pencil grip. 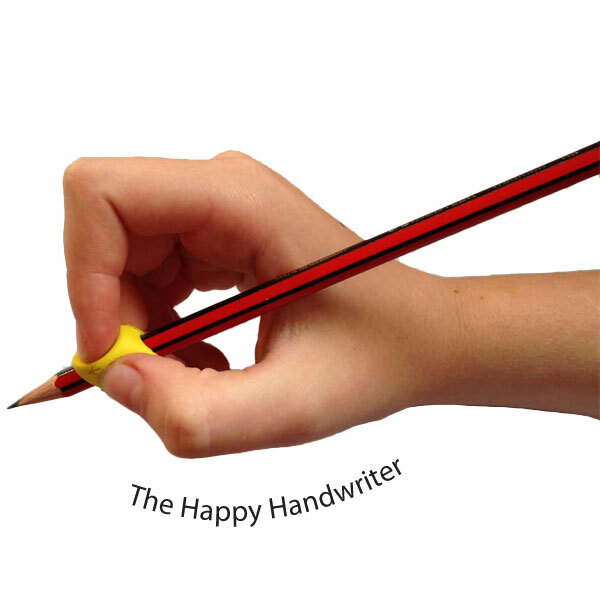 An efficient pencil grip is one that facilitates the discrete, refined finger movements that are necessary for speed and quality of handwriting. Any grip that blocks these movements is described as being inefficient. And it is and inefficient grip that would benefit from a pencil grip such as the CLAW. After initially being skeptical about the CLAW because I thought is looked strange and had a strange name, I am a complete convert! I love it’s soft, pliable material that is gentle on your child’s skin. Are you a therapist or educator who has fallen in love with the writing CLAW like I have? The 24 volume pack of medium CLAW grips is a must for your Centre. This pack offers a volume discount with a unit price of R22.92 per grip. Save with the volume pack. Remember the medium CLAW is usually appropriate for the school going child, while the small is usually the correct size for the preschooler with very small fingers. If you are uncertain as to which is the correct size, do consider the Multi-Pack which has conveniently packaged three mediums and 3 smalls together to enable you to find the best fit.